If you are experiencing technical issues, please contact support@madefire.com and we'll take care of you as quickly as possible. And, if you are enjoying your favorite comics in the Madefire app, please leave a positive review on the App Store. We see them, and they make us happy! With synchronized sound effects, music, motion, and layered illustrations, Madefire Motion Books aren't your average comic books. Whether you’re swiping through panoramic pictures, watching characters’ speech bubbles appear, or even making choices that affect the story, it’s clear that what Madefire does can't be repeated on physical paper. Each of Madefire’s immersive Motion Books sits somewhere between full-fledged animation and comics—and each is bound to leave a lasting impression. I saw one movie in the early 2000's about a girl that traveled to outer space and it used this technique - semi-animated stills. I really liked it. It's a nice blend of reading and watching, but at the time nothing else like it existed. It was an anomaly - then years later, along comes this app, and to my surprise, it was totally based on that concept I liked. Anyways not for everyone, but if you like comics, you'll probably enjoy it. "The Future". 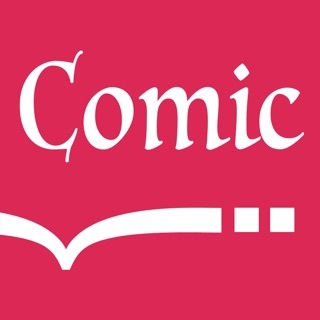 The reason being, (one of them at least) is, this app can help me discover NeW comic books. Comics I would have never had the opportunity to read, because most comic shops could never stock & display all the material these days. Discover new artist, writer's, heros, etc. Thank you so much for your comment. So you know the app is available on iPad tablets as well as iPhones. Simply go to the app store on your iPad and search for the app and download it. Your login will work and you'll be able to access your account. If you run in to any problems please contact us at support@madefire.com.